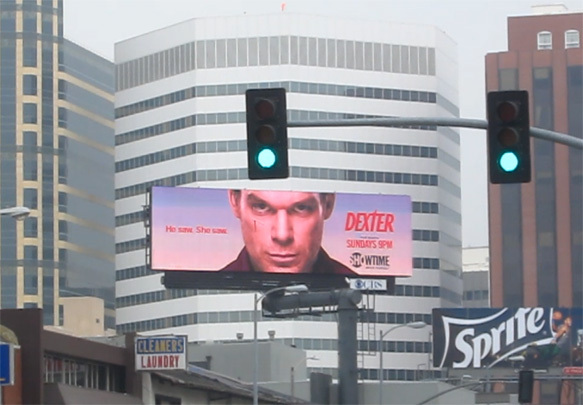 The four ads displayed on this CBS Outdoor digital billboard on Westwood Blvd. are changing every one to four seconds. The company’s agreement with the city specifies a minimum duration of eight seconds per image. Footage below taken on Nov. 1, 2012. Another CBS Outdoor digital billboard in the vicinity “went wild” two years ago.